​Ole Gunnar Solskjaer has identified Everton's Jordan Pickford and Atletico Madrid keeper Jan Oblak as potential replacements for David de Gea in the summer. De Gea has been a star performer for United once more this term and their most important player in recent years, but the Spaniard's contract negotiations at Old Trafford have stalled recently over his £350,000-a-week demands. Marcus Rashford's winning penalty against PSG in slow-mo. 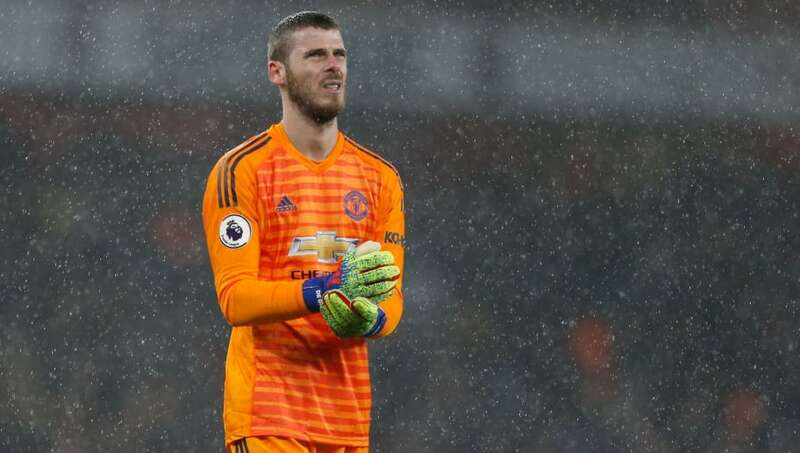 According to the ​Express, the situation has prompted Ligue 1 giants PSG to identify ​De Gea as their number one target for the summer transfer window, leaving ​United to ponder potential replacements if they should decide to cash in on the Spaniard. The report suggests that ​Everton star ​Pickford is one of two candidates on Solskjaer's agenda, with United known to be long-term admirers of England's number one. Pickford has suffered a dip in form this season after impressing at last summer's World Cup, but will still cost around £60m. Alternatively, ​Altetico Madrid's Jan Oblak is another option, though the Slovenian is likely to cost significantly more than Pickford, given his status as one of the finest shot stoppers in Europe. It is suggested that United would likely have to fork out a world-record fee to land Oblak, eclipsing the £71m that ​Chelsea invested in Kepa Arrizabalaga last summer, with Atletico valuing their star goalkeeper at £85m. De Gea's contract situation at Old Trafford is said to be subject to the player wanting a significant pay rise which would make him one of the highest paid players at the club to reflect his value to the Red Devils. ​Alexis Sanchez is apparently on a wage of £500,000-per-week, but is somewhat on the periphery of the United setup in contrast to De Gea's starring role for Solskjaer's side, with the keeper having won four of the club's last five Player of the Year awards. Goalkeeping coach David Preece has argued that De Gea's importance for United means that the club should meet the Spaniard's financial demands. As quoted by the Express, Preece said: "In the past, your goalscorers earned the top dollars. But with the importance of goalkeepers now, he has to be up there. "Sometimes in the past managers looked at their budgets and whatever's left over is what they have for a goalkeeper. Those days are over now. "You look at David de Gea now and Alexis Sanchez is out the side and not really repaying the club in terms of goals and form, David de Gea has been so important for Manchester United over the last four, five, six seasons. "Things haven't been great since Sir Alex [Ferguson] left, but they'd be a hell of a lot worse if it wasn't for David de Gea as well. "He's won a lot of points for them and he should be rewarded. He's so important to that club now - it would give United a massive headache replacing him."